Should we be worried about Cell C? Despite a recent high court ruling that was at least partly in the mobile operator’s favour, noises coming out of the company aren’t exactly painting a rosy picture. There are several reasons for concern, chief among them the ability of the company to engage in a protracted price war while ensuring it meets its debt covenants. MTN’s aggressive move earlier this month to cut its prepaid rates to 79c/minute (on Thursday making the rate permanent) may have been designed not only to reverse customer churn to rivals but also to inflict a painful — perhaps even fatal — body blow against Cell C.
It’s telling that Cell C has not responded to MTN’s move. MTN’s new rate makes life very difficult for Cell C, whose only move in recent weeks has been to hike its prices: it has pushed up out-of-bundle data charges by a massive 560%, from 15c to 99c/MB. CEO Alan Knott-Craig, who has not been at the helm since November, when he suffered a stroke, had previously said that out-of-bundle data rates should not be higher than in-bundle charges as this simply punishes loyal customers. That the company has changed tack must raise questions about its financial position. Investment analyst Nadim Mohamed of First Avenue Investment Management said in a recent interview with Business Day TV that he is “becoming very concerned” about Cell C’s ability to survive a price war. He said that in mid-2015, a debt covenant of R1,65bn is due for payment. That must be focusing minds. “We think they need to be lower than 79c to maintain their market share and grow the size of their network and I think it will become very difficult for them to remain relevant [and]their business could very well be compromised by this move from MTN,” Mohamed said. 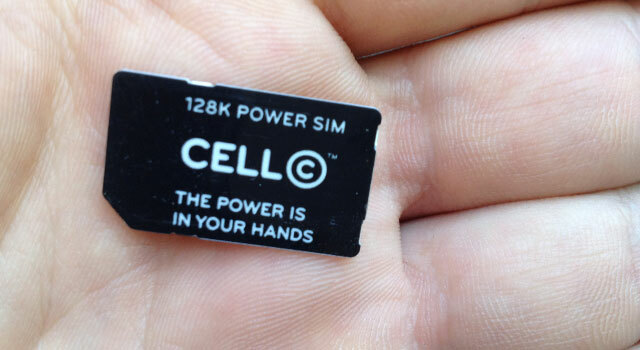 Another worry for Cell C is that, although it’s attracted new customers in the past two years — growing its share of active Sim cards from 13% to about 17% — its share of revenue has not tracked this. That means it’s picking up more low-value prepaid customers rather than the big-spending consumers on contracts. The company has also come under fire over the quality of its network, especially in Gauteng where it has failed to invest sufficiently in infrastructure to cater for the users it was attracting with its lower prices. Though Knott-Craig last year pledged millions of rand to upgrade the network to deal with congestion, the perception that it has a quality problem has stuck. 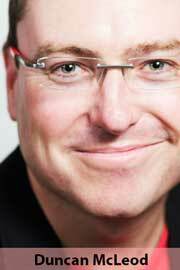 MTN has begun putting in the boot, urging customers to “move to the network that works”. Then there’s Knott-Craig himself. There has been no real news about the founding Vodacom boss’s health. Although Cell C has said he will make a full recovery, it’s far from clear if he will return. The fact that he has already suffered a number of major health scares suggests it’s unlikely he will continue as CEO. Does that matter? Like him or loathe him (and he has plenty of detractors), Knott-Craig is a strong and capable leader who is admired by the people who work for him. At Cell C, he has injected fresh energy into a tired company. A sense had emerged that the operator had a real shot of transforming itself and the sector. What’s the future for Cell C? That depends on the appetite of controlling shareholder Oger Telecom to continue propping it up. Oger has been remarkably patient, but this patience must be wearing thin. If new call termination regulations being drawn up by communications regulator Icasa don’t extend the aggressive benefits it’s enjoying now (at the expense of its bigger rivals), that could lead to major change. France’s Orange is keen on South Africa. It could make a play for Cell C. So, too, could Telkom, although that seems less likely: the fixed-line operator has other challenges that need solving first, like shoring up its shrinking fixed-line business. However this plays out, Cell C’s day of reckoning could be closer than many think.